For Australians, it wasn't always easy being a fan of JRPGs. In fact, it was almost impossible, without resorting to doing certain dodgy things with emulators and the like. So many JRPGs were never released in Australia. So many more of them, if they were released at all, were in such tiny numbers that it was easy to miss them. It was really only around the time of the PlayStation 2 that Australia started to see JRPG releases as frequently, and as prominently, as in other markets around the world. I don’t know if The Final Fantasy Legend was ever released in Australia. If it was, it was one of those ultra limited releases that was impossible to find. Thankfully this was one I owned properly, after my dad thought it would be something that I would enjoy while on a trip to the US, and thankfully back in those days Nintendo wasn’t region locking its handheld consoles. So I was able to play The Final Fantasy Legend, and I played, and played, and played the thing. It was one of my few Game Boy games that I actually wore out to the point where it simply wouldn’t work any more. The Final Fantasy Legend wasn’t really a Final Fantasy game. It actually belongs to the SaGa series, but Square (at the time Enix was an independent company) thought that the “Final Fantasy” name would ship more units. Yep, Square has been using that brand to sell stuff that is otherwise unrelated as far back as 1990. Regardless of what franchise it actually belongs to, however, it was something of a revelation. Back before the likes of Pokemon was a reality there were few attempts to do something deep and meaningful with the Game Boy platform. It was a console for action games, arcade game ports, platformers and puzzlers on the go. It was a very underpowered console and few thought that it could handle a game of the length and complexity that JRPGs generally require. 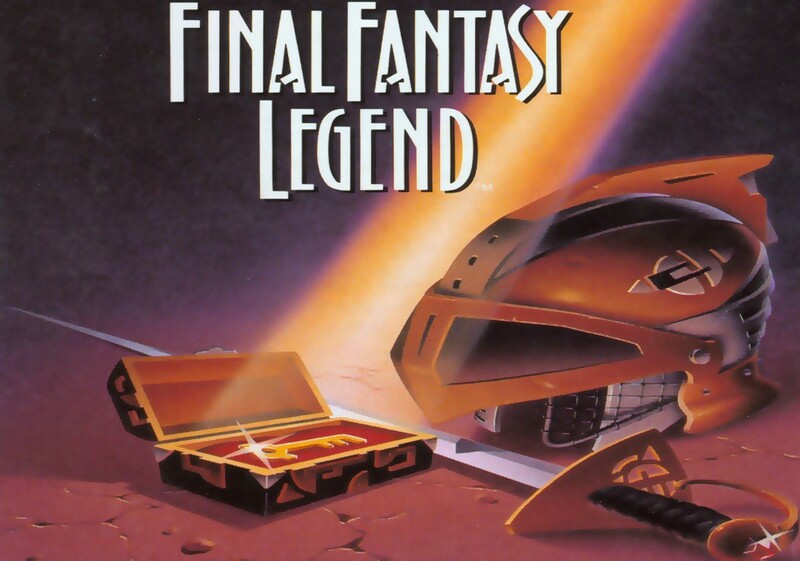 The Final Fantasy Legend was one of the first to try (and, as the legend goes, it actually inspired the makers of Pokemon that the Game Boy could do these kinds of things). Players would create a party of a few heroes, and then go on a (relatively) lengthy quest, fighting in tough battles, levelling up, and slowly grinding their way through the adventure. I remember finding The Final Fantasy Legend to be brutally difficult, especially given that I was generally unaccustomed to JRPGs and how they worked back in my youth, so deprived as Australia was of the genre. I would spend hours just grinding away with little consideration for party construction and strategy. I’d pick characters based on which sprites I liked the look of (things haven’t really changed there, since I’ll always fill my parties with pretty girls, regardless of whether that’s the best strategy). It wasn’t the most complex game, but there were some things to take into account. For example, equipment would eventually degrade and break, and I was terrible at planning around that. “Monster” classes could eat the meat of enemies defeated after battle, which might turn them into more powerful creatures, but I’d always end up with weak monsters I simply didn’t want to change. I never quite played The Final Fantasy Legend “right,” in other words, though I did eventually grind my way through it through sheer persistence and love for the game. It’s hard to see how it might have impressed me on a technical level today, I know. As you can see from the videos, it’s perhaps the most basic looking JRPG ever created, but The Final Fantasy Legend captured my imagination in a way that, truth be told, not many other games have managed to to this day. My childlike mind was easily able to fill in the simple sprites and environments with a lush fantasy world to explore, which my head was already fully in thanks to writers like Tolkien and CS Lewis. Though the storytelling was simple, I was there, having my own adventure, and it was a metaphorically “colourful” adventure, even as the western RPGs that I was playing on my computer were all trying to out-grim one another. As someone who was right into the high fantasy heroism at the time, this was something different, and as it was one of my first JRPGs, it was pretty influential on my love of the gaming hobby thereafter. I really loved the game’s simple motif of climbing a tower, located in the middle of the game’s world, to reach new lands to explore. You’d start of The Final Fantasy Legend with a single region to explore, and there was plenty of enemies to battle and a couple of towns to visit there. But at a point you’d find yourself climbing a giant tower to access a whole new land. On a mechanical level this allowed Square to break up the game so each region wasn’t too big for the Game Boy to handle, but to little me, it also represented real sense of wonder and progress through the game. The literal layering of game worlds also created distinct “acts” to help players chart their progress through a game which, again, was very limited in its storytelling, and helped to give the game structure and keep my interest keen throughout. It was inspired level design in working within the hardware limitations, and it was subtle enough about it all that I never even realised just how the game was manipulating me in order to keep my interest levels high throughout the entire adventure. There were two more Final Fantasy Legend games on the Game Boy, both of which I did need to play through less-than-legal means. Those two games introduced more complex storytelling to the series, and I found them even more interesting as a result. By the time I had finished the third, I was thoroughly sold on the idea that Japanese game developers know how to make good RPGs. To this day I am itching for the opportunity to play these games again, but Square Enix never saw fit to release them on the Virtual Console on the Nintendo 3DS, and those remakes that it has produced have stayed in Japan as well, to the best of my knowledge. And that makes me very sad indeed.